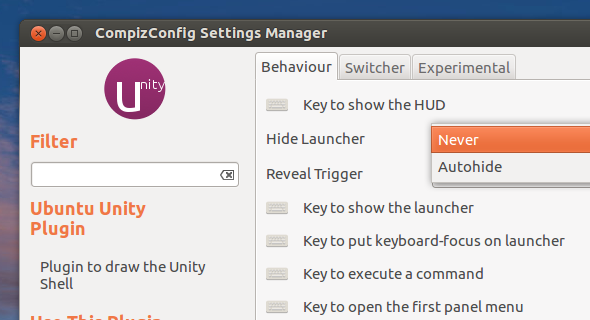 As you probably know, the window dodge Unity launcher autohide behaviour has been removed from Ubuntu 12.04 Precise Pangolin. Unfortunately, it seems this feature won't make it back into Unity, but thanks to a work-around by WebUpd8 reader Jorge, you can get the dodge windows feature back. Well, almost. I've said "almost" because it's not identical to the old window dodge behaviour: in Ubuntu 11.10, when setting the Launcher autohide behaviour to "dodge windows", the launcher would hide for both maximized and unmaximized windows. The work-around created by Jorge triggers the launcher autohide only for maximized windows (meaning the Unity launcher dodges/hides only for maximized windows and is always visible when there are no maximized windows). But that's a nice thing to have too, or at least that's what over 100 people who have selected "This bug affects me" think. Thanks to Jorge for the tip! Window dodge script credits: Ubuntuforums (script modified by Jorge).